But thankfully there are plenty of ways to brighten our smiles without having to resort to pricey dental surgery treatments. Instead, opting for a DIY kit can give you a brighter, whiter smile and remove stubborn stains with ease. But which one should you go for? These days there are a variety of methods to choose from so it’s super-easy to find one that works for you and your lifestyle. Whitening toothpastes can be used just like regular formulas but contain mild abrasives and gentle polishing agents to remove stains. Alternatively, you can use a tray-based teeth whitenener, which involves the use of a mouth guard and a gel-based whitening solution. While some of these are one-off treatments, others need to be used twice a day for up to two weeks. For best results, in-office dental treatments are recommended as at-home kits are restricted to lower concentrations of whitening ingredients like peroxide. But, for modest improvements tray kits are your next best option. It’s also important to make sure you understand the risks of using a teeth whitener and these should be listed on the product you’re about to buy. As a general rule though, when using tray kits always make sure the mouth guard fits properly as any leaking gel can cause blistering and sensitivity to your lips and gums. 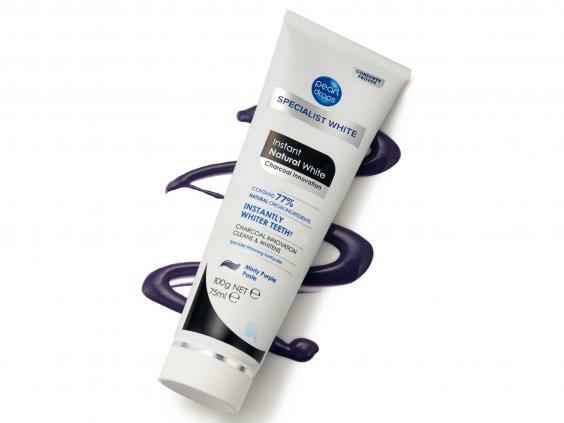 Here’s our pick of the best teeth-whitening tools that will give you pearly whites, without costing you a fortune. This kit from iWhite includes 10 pre-filled trays, a tooth polisher, toothpaste and a mouthwash, which all work together to rebuild enamel and remove stains. The whitening kit itself is one of the easiest to use as the trays come already filled with the gel and fit securely onto the front and back of your teeth, helping to keep saliva pooling to a minimum. After wearing for 20 minutes, our tester said their teeth already looked whiter and reported fantastic results after using for five consecutive days. The toothpaste and mouthwash can be used daily to maintain effectiveness while the polisher can be used as and when needed to remove any plaque build-up. If you don’t like the idea of using mouth trays, then whitening toothpaste could be the best option for you. Our favourite has to be this purple paste from Pearl Drops, which taps into the beauty world’s obsession with charcoal as an ingredient. Working to remove impurities, the formula uses a combination of detoxifying charcoal, fluoride and plaque removers to boost stain removal. While the purple colouring can be a bit off-putting at first, the end result leaves your teeth looking brighter and with an instant sparkle, but it does need consistent use over a period of weeks to notice any real difference in shade. Developed by dentists, this system works the same way as most other kits but with the added benefit of a whitening light that helps to speed up the entire process. 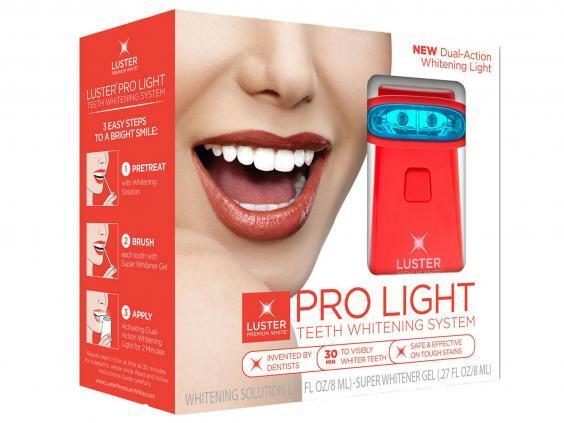 To use, apply the whitening solution to pre-treat teeth, brush each tooth with the activator gel and then apply the light for two minutes (it has an automatic shut off timer which is handy).Unlike other kits that need to be used within a certain time frame, this one comes with three options so you can work it around your lifestyle. You can use over two days with 10 treatments each day, during week days with four treatments a day or over a full week with two to three treatments. Our tester decided to complete the suggested 20 treatments over two days and reported teeth that looked visibly whiter. We also love the fact that it comes with a colour chart where you can record its effectiveness. This kit is very simple to use. 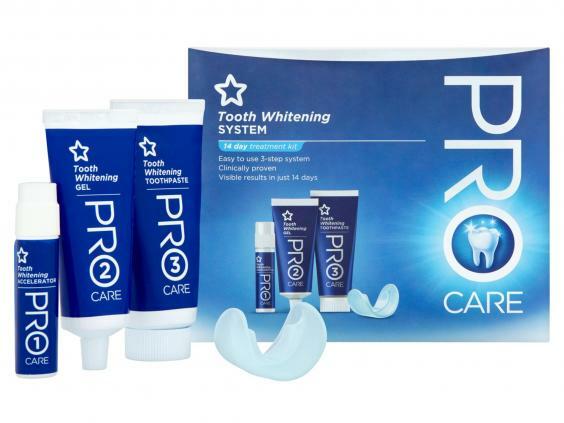 It comes with two easy-to-use mouth trays that can be customised to fit your teeth, a tube of whitening gel, an accelerator fluid and a tube of Rapid White toothpaste. After applying the accelerator directly to your teeth using a sponge applicator, you simply pop the gel-filled trays into your mouth and leave them for five to 10 minutes before brushing your teeth with the toothpaste. Our tester found the trays comfortable to wear and was delighted with the results, even after just a few days – half the recommended treatment time – as it left teeth visibly whiter and cleaner. 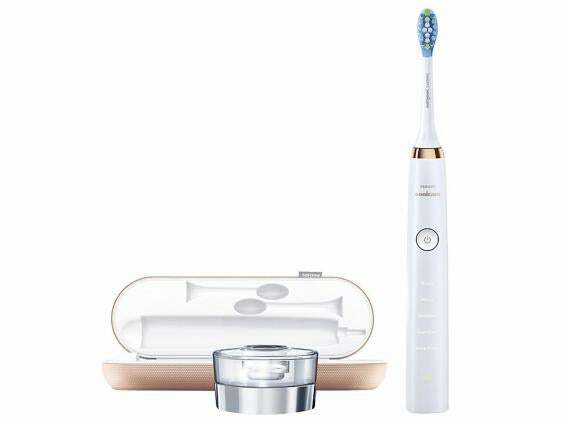 A toothbrush that whitens your teeth might sound like a trick but this one really does work. It features five brushing modes: Clean, Sensitive, Gum Care, White and Polish. It claims to whiten teeth more than two times better than a manual toothbrush. After using just once, our tester reported a squeaky clean feeling and they noticed a visible difference in whiteness after a few weeks use. This might be at the higher end of the price scale but if you’re looking to invest in a product that you can use everyday this is the one for you. 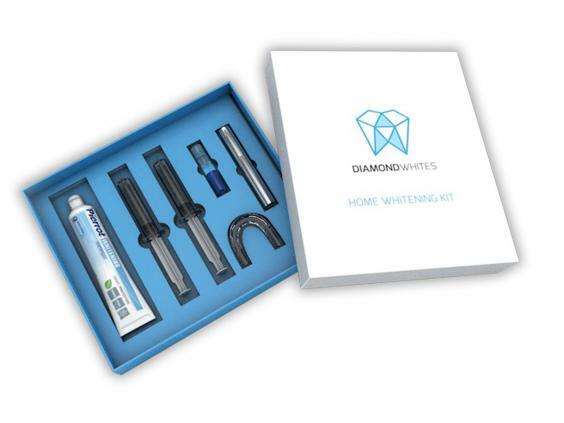 The Diamond Whites system comes with two mouth trays that, after soaking in hot water, you can mould to the exact shape of your teeth, helping to cover the teeth properly and reduce saliva pooling. Once that’s done, fill the tray with the provided gel, leave on for 20 to 30 minutes and brush with the whitening toothpaste. Our tester found that this kit helped remove stubborn stains from discoloured teeth and after a few uses definitely took their whiteness up a notch. 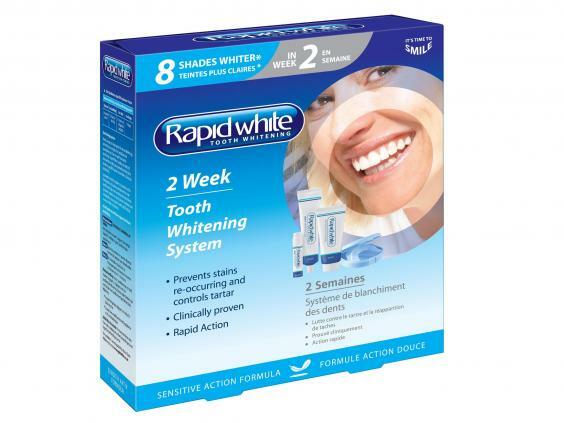 We also love that this kit comes with a top-up whitening pen to maintain your smile, which only takes 10 to 12 minutes to develop. Ideal just before a night out. Easy to use, this three-step system is a gentle 14-day treatment that will help you get a perfect smile. To use, apply the accelerator fluid to your teeth, fill the supplied mouth tray with whitening gel and hold firmly in place for five to 10 minutes by biting down. Finish by brushing your teeth with the whitening toothpaste. Unlike other kits, the mouth tray fits over both sets of teeth at once and is a little harder to place but for a high street option that’s super-affordable it manages to hold its own, whitening our tester’s teeth by a couple of shades over the two-week period. 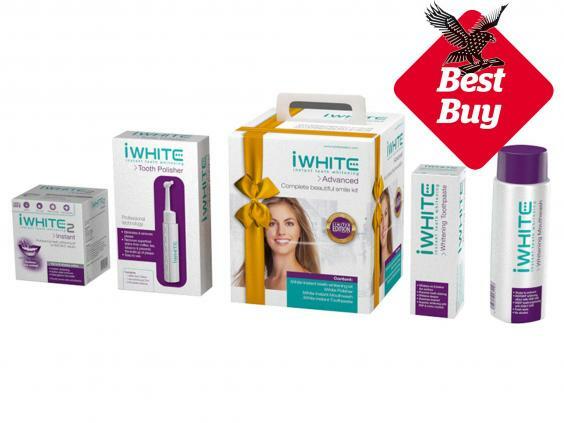 For a multi-purpose system, we recommend investing in iWhite’s Advanced Kit that includes everything you need for whiter teeth in a matter of days. The mouth trays were also the least messy and most comfortable to wear. We also have to recommend the Philips Sonicare DiamondClean toothbrush and Pearl Drops Charcoal toothpaste; individually they’re great, but together will make a quick difference to your smile.